The Climate & Society Graduate Fellows Program supports University of Arizona graduate students whose work connects climate research and decision making. 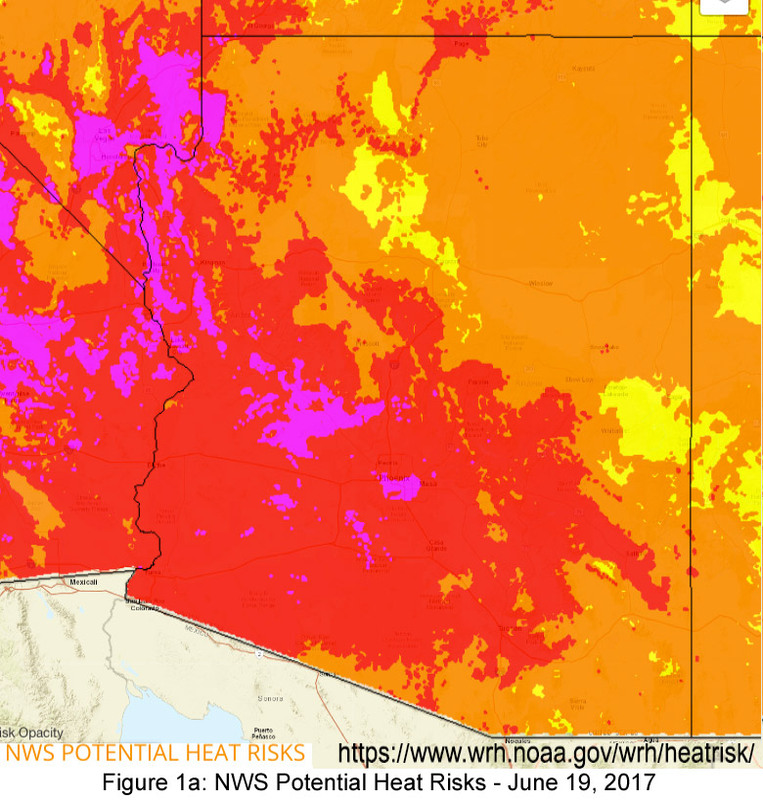 The program is made possible by support from the Climate Assessment for the Southwest (CLIMAS), the International Research Applications Program (IRAP), and the UA Office for Research and Discovery. 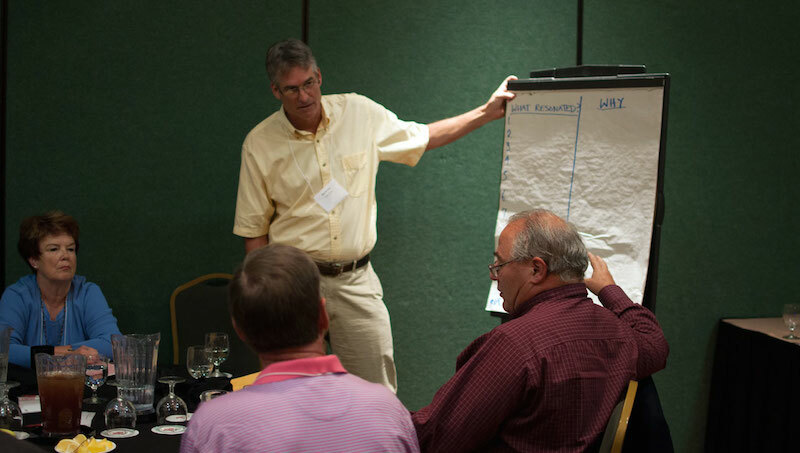 Fellows receive $5,000 and guidance from members of the CLIMAS research team for one year. The program’s main objective is to train a group of students to cross the traditional boundaries of academic research into use-inspired science and applied research. While CLIMAS research generally occurs in the Southwest U.S., the Fellows program allows students to work anywhere in the world. Fellows’ projects may follow two tracks. Students who want to conduct collaborative research may use their funding for use-inspired projects. 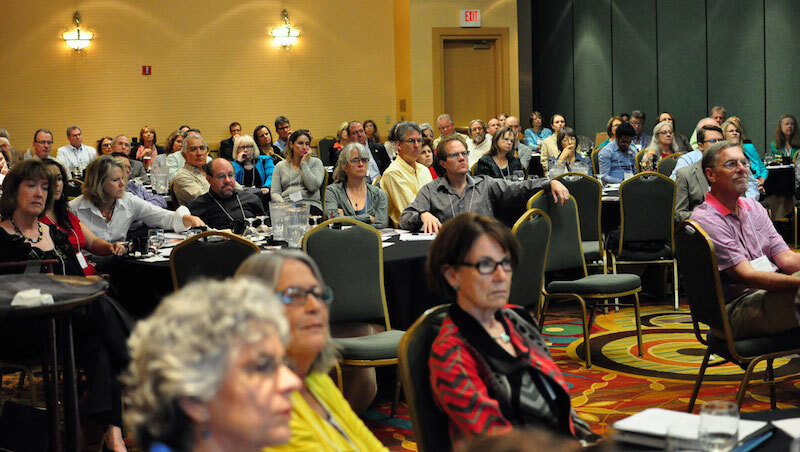 Students who have conducted climate research and want to communicate their findings to audiences outside of academia may use their funding for outreach. Fellows may also use their funding for a combination of the two tracks. The Climate & Society Graduate Fellows Program helps students address the world’s climate-related problems by funding projects that engage people outside of the university. The Climate & Society Graduate Fellows Program supports University of Arizona graduate students whose work connects climate research and decision making. 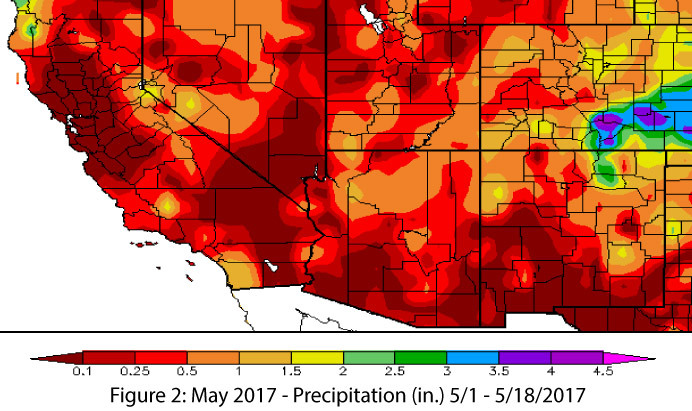 Fellows receive $5,000 and guidance from members of the CLIMAS research team (Climate Assessment for the Southwest) for one year. The program’s main objective is to train a group of students to cross the traditional boundaries of academic research into use-inspired science and applied research. While CLIMAS research generally occurs in the Southwest U.S., the Fellows program allows students to work anywhere in the world. From the very beginning, Chris Guiterman just wanted an opportunity to expand his collaboration with the Navajo Forestry Department, and to demonstrate what he could do to help them. Guiterman is a 2014 recipient of the Climate Assessment for the Southwest (CLIMAS) Climate & Society Graduate Fellows Program. 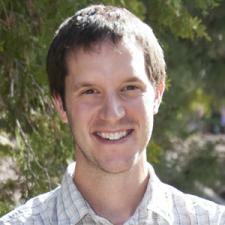 He is currently a PhD student at the University of Arizona, School of Natural Resources and the Environment, working in the Laboratory of Tree-Ring Research. He used the CLIMAS fellowship to jumpstart a project that he had been struggling to fund. 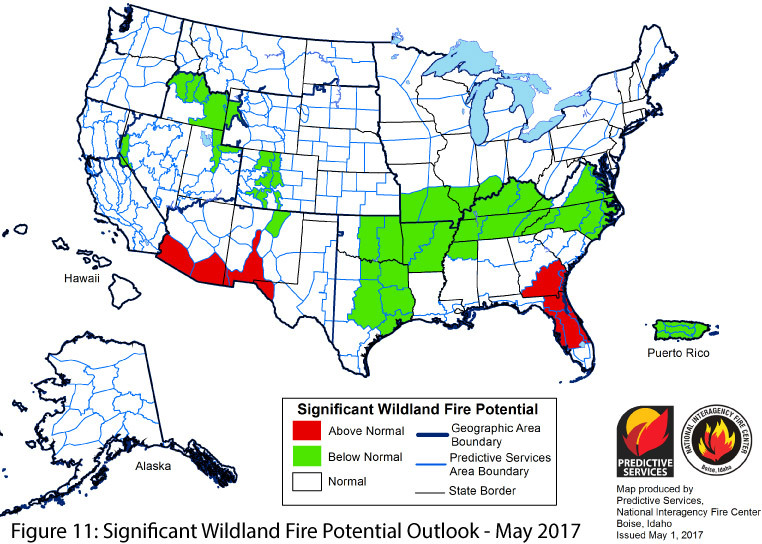 Tribal nations across the Southwest are increasingly at risk of climate change impacts on the landscape, and because many of these nations rely on the ecosystem services of healthy forests, the risks are intensified. To Rebecca Lybrand, calling soil “dirt” is simplistic and diminishes its importance to plants, animals, and human beings. So why is soil, the foundation of life, constantly being referred to as “dirt?” Rebecca began this line of thinking in college, and this spark of curiosity turned a simple question into a career. 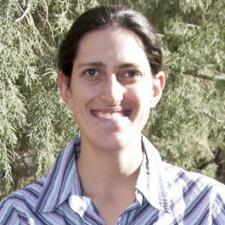 Rebecca is now a soil scientist at The University of Arizona. She received her Ph.D. from The University of Arizona’s Department of Soil, Water and Environmental Science (SWES) in 2014. 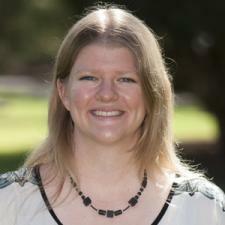 She is also a recipient of the 2014 Climate Assessment for the Southwest (CLIMAS) Climate & Society Graduate Fellowship. Rebecca’s CLIMAS project centered on creating two short films that documented her research across the Santa Catalina Mountains in Arizona. These films showcase four of her field sites, which span over 4000 feet of elevation gain. The sites differ in temperature, precipitation, and vegetation, all of which have remarkable impacts on the characteristics of these soils. 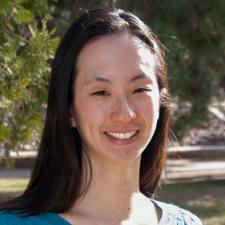 When Ling-Yee Huang received the Climate Assessment for the Southwest (CLIMAS) Climate & Society Graduate Fellowship a year ago, she proposed to create a climate science curriculum for law schools. Little did she know, she would actually be teaching her own class on climate science curriculum for lawyers, at the James A. College of Law at The University of Arizona. Huang is currently a M.S. student in the School of Natural Resources and the Environment (SNRE) at the University of Arizona, as well as a researcher at the Water Resources Research Center (WRRC). Previously, she earned a J.D. from the University of Florida Levin College of Law and a bachelor’s degree in biology from Rice University. Before coming to UA, Huang worked as a policy analyst for the Center for Progressive Reform in Washington, D.C. She provided legal analysis regarding the Clean Water Act and restoration of the Chesapeake Bay, and she developed legal frameworks for climate change adaptation and protecting ecosystem services. Huang said when she learned about the CLIMAS fellowship, she realized it captured her dual interests in both science and policy perfectly. The curriculum and her final project were ideas she had been contemplating for a long time. Sarah Truebe has always been a caver. She grew up thinking the only things people should take from caves are photographs, but as she began her career as a paleoclimate scientist, she realized that scientists often take a lot more than photographs. A stalagmite is a cylindrical mineral deposit, formed over hundreds or thousands of years on the floor of a cave, making them utterly non-renewable on human timescales. Stalagmites contain valuable paleoclimate data; however, most of the time getting this information means permanently removing the stalagmite from the cave. “As the popularity of stalagmite paleoclimate science grows, development of sustainable sampling methods for these nonrenewable resources is necessary to balance the needs of science and cave conservation,” Truebe said. 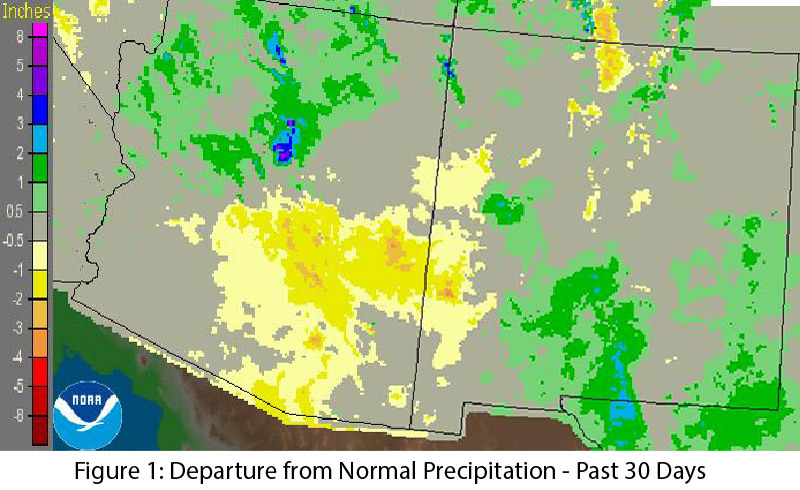 Precipitation: The borderlands region of southern Arizona and portions of southern, central, and northeastern New Mexico all recorded above-average precipitation, but most of Arizona and New Mexico received average or below-average precipitation in the past 30 days despite a number of January storms (Fig. 1). 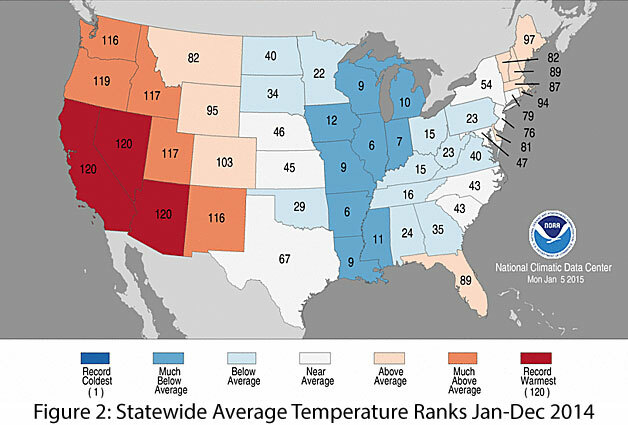 Temperature: After a record year for Arizona (and a top five year for New Mexico), temperatures remained well above average in the Southwest over the past 30 days (Fig. 2). 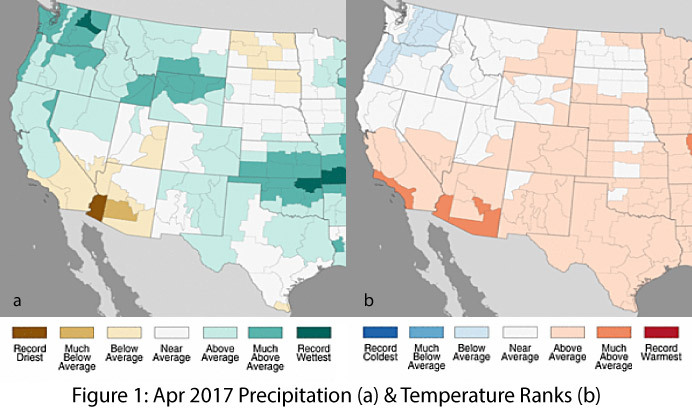 This means pleasant weather compared to the frigid and snowy conditions in the eastern and central U.S. but has implications for drought, water storage, phenology, and human health. After a year of research, The Climate Assessment for the Southwest’s first Climate and Society Fellows will present the results of their work on Friday, November 14, from 11 a.m. – 12:30 p.m., in room 531 of the Marshall Building. A video recording of this IPCC panel discussion is now available on the CLIMAS media page.